The stunningly beautiful Alentejo coast has twenty Blue Flag Beaches and two Blue Flag marinas and stretches from the Sado Estuary in Alcacer do Sal up to the tip of the Troia Peninsula and down to Baiona Beach, along the south west Alentejo and Vicentine Coast Nature Park. 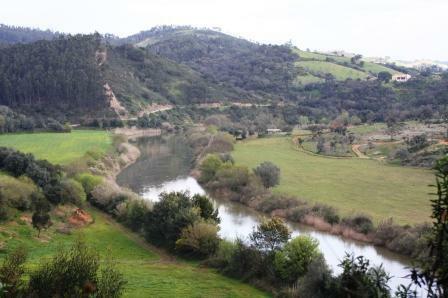 The Alentejo Litoral covers an area of more than five thousand two hundred square kilometres with the number of inhabitants in the region of 150'000. The largest city is Sines which accommodates around 19,000 residents and was the first and is the largest port area in Portugal and the birthplace of Vasco da Gama. 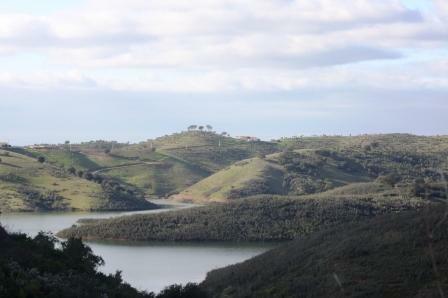 The Alentejo Litoral sub-region is divided into the following five municipalities which are, Alcacer do Sal, Grandola, Santiago do Cacem, Sines and Odemira. 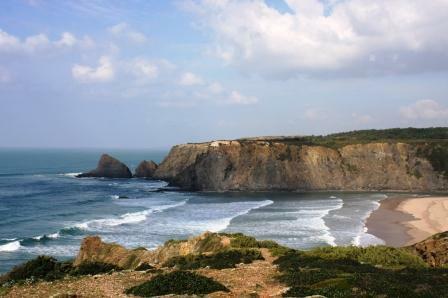 The Alentejo Litoral is the least developed coastal area in Portugal and offers incredibly beautiful, long stretching beaches, coves and rocky cliffs. The coast area is a haven for fauna and offers fertile soil for a plethora of flora. There are many places to see including Comporta, Zambjeira do Mar, Vila Nova de Milfontes and Aljezura or stay busy playing golf, horse-riding, surfing or bird-watching. You may also visit the many churches and historic buildings throughout your travels. Real Estate Due to the quality, affordability and choice, if it is your intention to buy property in Portugal, then the Alentejo Coastal region of Portugal should be on your short list. Beach Villas and Homes The Alentejo Coast offers an immense array of properties that vary in price, type, condition and size and You will be able to find a property in Alentejo for as little as twenty thousand Euro’s and yet should you desire you may invest many millions. The typical Alentejana home along the Blue Coast is the traditional single storey property that is positioned at the edge of a parcel of agricultural terrain and is or was once inhabited by the family who worked the land. Typically these houses are painted white with blue or yellow borders which decorate the windows too. These homes generally have walls with thicknesses in excess of 60cm, with many boasting a fireplace fit for a country manor. Luxury Developments Currently there are a number of upscale developments taking form along the Alentejo Coast, with the major players and investors concentrating between Troia and Carvalhal. These developments are currently seeing hundreds of millions of Euro’s being invested, which is probably the reason why many professionals in the industry are forecasting triple digit price increases over the next ten years. These first class developments include luxury hotels with tourist villas and condos, golf courses, horse riding stables, sailing and motor boat facilities, a variety of water sports, numerous nature trails and fauna observtion and simply relaxing or spending your days at the beach. 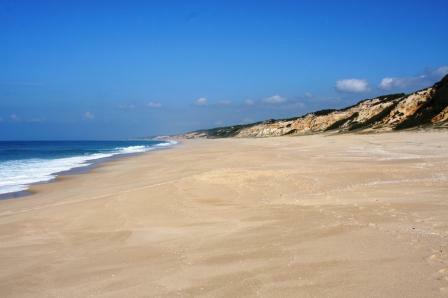 If it is your intention to look at property in Portugal, then the Alentejo Coast is a great place to start.